How many Apple gadgets do you have in your possession? The chances are that, if you are an Apple head, you would have a Mac (MacBook, MacBook Pro, MacBook Air – it doesn’t matter which one), an iPad, an iPod, and an iPhone. Or at least a couple of those items. If that’s you, then you would also know how much of a pain it can be to lug around all those gadgets. Of course, there is the option of leaving most of them behind, but there are instances when you do need to have them with you. 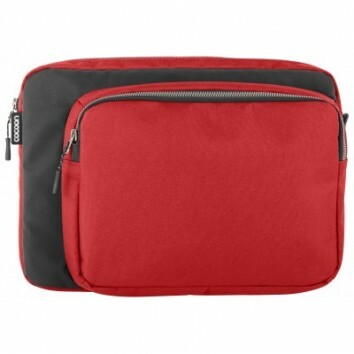 There are a lot of bags you can buy for all sorts of gadgets, but so far, there does not seem to be a lot which are especially made to handle the variety of Apple gadgets in one carrier. Enter the Cocoon CLS456 Sleeve. While it is called a sleeve, as far as I can see, it practically functions as a bag as well. You have the option of using the hand strap, of if you prefer to make better use of your shoulders, the Cocoon CLS456 Sleeve has an adjustable shoulder strap as well. What is great about the Cocoon CLS456 Sleeve is the fact that is meant to be carry and protect a MacBook or a MacBook Pro, plus an iPad. You can also add your iPhone and/or iPod into the mix. The edge this bag has is that the gadgets will fit perfectly. It’s not too small, neither is it too large. 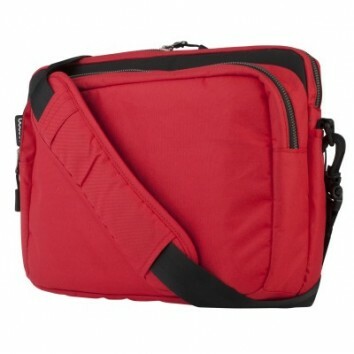 As you can see, the compartments are enough to carry most – if not all – of your Apple gadgets. Unless you have two or three of each Apple gadget in the market, this should be more than enough! Another cool thing is that the Cocoon CLS456 Sleeve comes with GRID-ITTM, a rubberized woven elastic mesh that allows you to organize your gadgets inside the compartments. No need to worry about your iPhone and iPods rattling around. You can even add other digital devices – GRID-ITTM is fully configurable. There is a downside to the Cocoon CLS456 Sleeve, though. It only fits the 13-inch laptops. If you have something bigger than that, then you just have to look elsewhere for the perfect bag. As for me, I am seriously considering getting one. For $69.99, it is a good buy. PS3 Will Double as a Mirror?